Hot or cold, wet or dry, this is a beer for all occasions, a beer for the everyman. One that defies pretentious pre-conceptions, embraces all the definitions of craft and is resolutely a beer for all craft drinkers. A beer for beer’s sake. So please, for sanity’s sake, let’s just call a beer a beer. Our flagship offering is a 4%, sessionable, entry level craft lager that is, above all, cold as f***. Go on, paint the town COLD. Cold Town was born with Scottish history at its heart and is named in honour of the Calton Hill Brewery in Edinburgh, which was the first in Britain to brew lager, in 1835. This was situated in the Edinburgh suburb, Caldtoun, at the bottom of a large hill. 183 years later, we now know that place as Calton Hill and we know our beer as Cold Town beer! 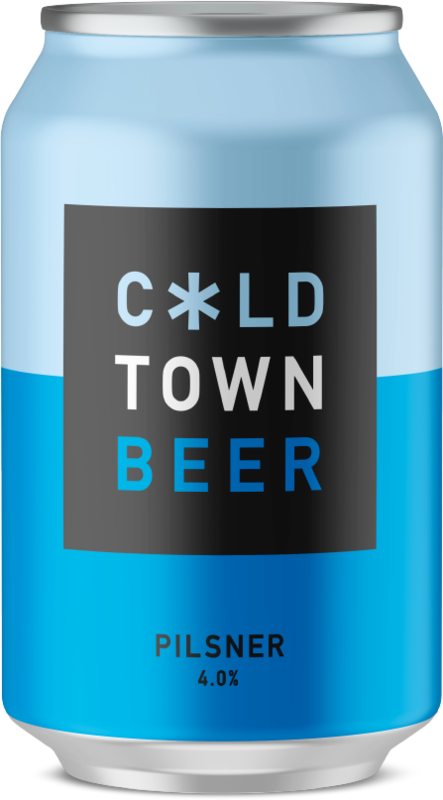 Cold Town Beer is now pouring in 13 bars and restaurants across Scotland. That’s 9 in Edinburgh, 3 in Glasgow and 1 in St Andrews. But we can’t just stop there! We’ve got another 5 installs lined up for the coming months. Take a look below at where you can find a pint of the cold stuff and see if there are any planned installs for a bar near you!